My neighborhood in Oakland is celebrating Cesar Chavez day tomorrow, which is why today's Feel Good Friday is all about the United Farm Workers of America (UFW). You may know the UFW because you remember striking farm workers in the '60s and '70s, the fasts of Cesar Chavez or because you boycotted grapes in support of farm worker rights. Younger people may recognize the UFW slogan ¡Si Se Puede!, which President Obama translated to English and used in his campaigns, Yes We Can! Si Se Puede Attitude: A personal and organizational spirit that promotes confidence, courage, hard work, and the belief that we can do the impossible. Dignity: Recognizing and respecting the inherent worth of all people. Innovation: The active pursuit of new ideas. 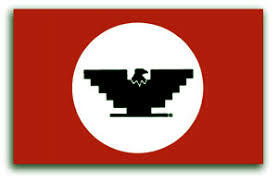 As they've done since the beginning, the UFW champions legislative and regulatory reforms for farm workers. Current campaigns focus on issues such as: immigration, with a bill to provide a path to earn lawful permanent residence; overtime, so that farm workers are paid time and a half after 8 hours work; reforming the unsafe labor practices of the largest dairy that supplies milk to Starbucks; and a voter registration drive. If you want to take action on any of these issues or learn about additional campaigns, you can click this link and fill out a short form to contact your congressperson. Other ways to support the UFW are to make a donation, shop for merch and spread the word on social media by liking their Facebook page and following them on Twitter @UFWupdates.